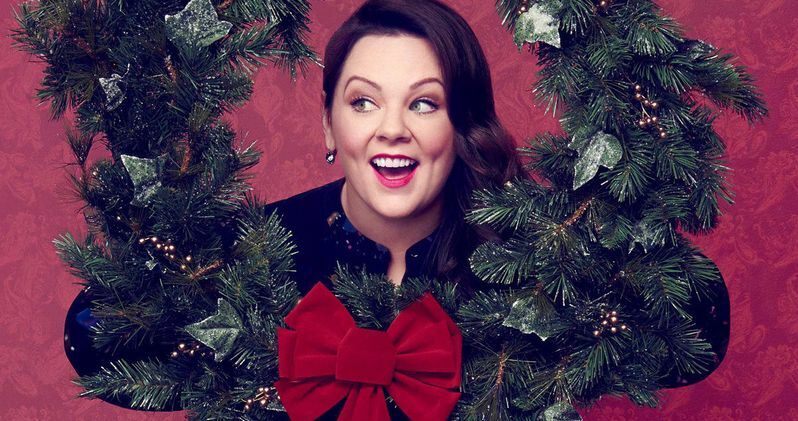 Warner Bros. and New Line Cinema have set aside the November 15, 2019 release date for their upcoming holiday comedy entitled Margie Claus, which has Melissa McCarthy set to star and produce, while co-writing the script. The actress' husband Ben Falcone will direct from a script he and Melissa McCarthy co-wrote with their Groundlings collaborator Damon Jones. Melissa McCarthy and Ben Falcone will both produce through their On the Day production company. Deadline reports that the story is set on Christmas Eve, when Santa Claus goes mysteriously missing. Margie Claus (Melissa McCarthy) is then forced to go on a rescue mission to find him, leaving the North Pole for the first time in years. This report claims New Line is hoping this movie could have the same sort of success as their 2003 holiday classic Elf, which took in over $220 million at the global box office and also spawned a Broadway musical hit. As of now, Margie Claus doesn't have any direct competition in its new November 15, 2019 release date, but there is an untitled Warner Bros./DCEU movie slated for release on November 1, 2019, along with an untitled Disney live-action fairy tale project on November 8, 2019 and Disney's long-awaited Frozen 2 on November 27, 2019. With more than two years to get this project ready before it hits theaters, it remains to be seen when filming may begin, and it isn't clear if the script by Melissa McCarthy and Ben Falcone is finished yet. This comedy will mark the fourth time Ben Falcone has directed his wife from a script they both co-wrote. Their first comedy as co-writers was the 2014 movie Tammy, which brought in just over $100 million worldwide from a $20 million budget. They also co-wrote The Boss with another former Groundlings collaborator, Steve Mallory, which Ben Falcone also directed. That movie took in $78.8 million worldwide from a $29 million budget. The husband-wife duo are currently in post-production on their next comedy, entitled Life of the Party, which has been set for release on May 11, 2018, and co-stars Gillian Jacobs, Julie Bowen and Stranger Things star Shannon Purser. Melissa McCarthy also has another upcoming comedy movie in post-production called Can You Ever Forgive Me?, which is slated to arrive sometime next year, and also stars Richard E. Grant, Anna Deavere Smith and Jane Curtin. Melissa McCarthy has also been making waves on the small screen this year as well, portraying White House Press Secretary Sean Spicer in a number of sketches on the late night sketch comedy series Saturday Night Live. Now that Margie Claus has a release date in place, hopefully we'll hear more about casting or further story details in the near future.